In The Stonehenge Letters, Harry Karlinsky gleefully blends fact and fiction into what might be the most original book you’ll read this year. Harry Karlinsky gleefully blends fact and fiction into what might be the most original book you’ll read this year. 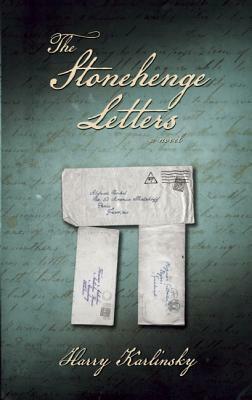 The Stonehenge Letters seems like a straightforward, serious piece of nonfiction about a bit of unknown history. Our narrator, a lifelong Freudian devotee, is researching why Freud was never awarded a Nobel Prize. In the archives, he comes across the Knäppskalle, or “Crackpot” files. Primarily the home of crazy submissions to the Nobel Prize, the narrator also discovers letters and documents from a secret competition: a quest to solve the mystery of Stonehenge. Which mystery of Stonehenge?, you may ask. The vagueness of the question leads to widely different approaches to and interpretations of the question from no less than Rudyard Kipling, Theodore Roosevelt, Marie Curie, and other great minds of the early 1900s.